My mom made it easy for me to have a relationship with Jesus. I figured I should start with the heart of the post instead of a cutesy story (I inserted a cutesy photograph to compensate), because I feel an urgency. Not because of ways the world is changing, but because of the ways many “Christian” responses to world events are disintegrating into fear-filled, knee-jerk battles. I confess I often find myself angry with these increasingly ignorant responses, but in such moments I can choose to be part of the problem by acting in anger, or I can recognize that criticism does not drive out fear. Only perfect love drives out fear. The only human ever to exhibit perfect love is Jesus, so let’s make it easy for each other to experience perfect love by making it easy for each other to have relationships with Jesus. Here’s how my mom did (still does) it. 1) My mom kept a singular focus on Jesus. I tutored math, physics, and chemistry for several years, and once a student asked me if it was possible to believe in evolution and still be a Christian. He was convinced by the scientific evidence for evolution, and he was afraid that meant he was barred from being a Christian because his mom had told him the two were mutually exclusive. This attitude of “to be a Christian you have to [fill in the blank]” is so pervasive in our culture that we have actually begun fighting for the blanks. I’m grateful my mom never confused the blanks with the Way. “Jesus answered, ‘I am the way and the truth and the life. No one comes to the Father except through me. If you really knew me, you would know my Father as well'” (John 14:6,7a NIV). My mom encouraged me to know Jesus — to love His Word, to be open with Him in prayer. Certainly she encouraged me to obey Him as well, but she never pretended my actions were the way to the Father. Only Jesus. 2000 years ago, Jesus called out the experts in the law for “load[ing] people down with burdens they can hardly carry” (Luke 11:46b NIV). Let’s not follow their example, let’s follow my mom’s example. 2) My mom never called down Jesus on her side. I’ve heard of some parents invoking Jesus to get their kids to do their chores. I imagine it would be difficult to form a relationship with someone portrayed as a taskmaster of external, relatively unimportant activities. I say I imagine because I don’t know, because my mom never erected those barriers to a relationship with Jesus. I’m grateful. While as a culture we may not be so blatantly (or even intentionally) selfish about it, I believe we need to be careful not to call down Jesus on our side in political or cultural issues. Instead, I believe we need to align ourselves with Jesus. Instead of accepting evangelical culture’s agenda at face value and calling down God on our side, hitting others over the head with “Clean your room because Jesus wants you to,” let’s instead take a page from Joshua’s book, which is also a page from my mom’s book. Let’s humble ourselves and ask what God wants to say to us. 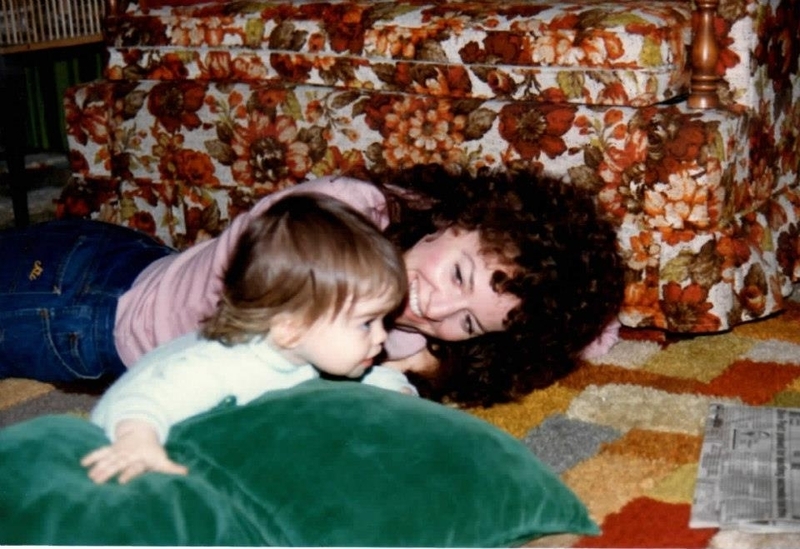 3) My mom modeled a loving relationship with Jesus. This is easily the most important of the three, but it is also easily the most prone to misinterpretation. So let me be clear. My mom didn’t try to fake piety so I and my sisters would be good. Nor was the motivation for her relationship with Jesus so that we would have one too. Rather, my mom deeply and genuinely loves Jesus, and I saw it. And because I saw what a healthy relationship with Jesus looked like, it was easier for me to have one too, when I decided that’s what I wanted. I pray that as dearly loved people of Jesus, we can make it easier for other dearly loved people also to have a relationship with Him if they decide that’s what they want. I pray that our focus returns to Him alone, that we tear down the piddly barriers our culture has erected, and that we simply and genuinely let Him love us. And thank you, Mom, for doing that for me. This entry was posted in Bible, Faith, Fear, Jesus, Mom, Politics. Bookmark the permalink. Allison this is truly inspired. Thanks for the lesson in humility. What a beautiful picture of real mother love, always pointing to Jesus! It is humbling to think someone might resist the love of Christ because of the behavior or ill-considered words of a Christian. I pray that I always point to Him and not my own opinion. Thank you for this well-written post, Allison. Loving acknowledgement of the love of God,as taught by a loving mother….